Matt George once declared that the Bridj vans could become driverless vehicles someday. It was June 2014, the beginning of the summer. The company’s first day of beta service was featured on The New York Times and in the founder's eyes, the world may have seemed full of endless possibilities. Fast-forward three years, the grandiose dreams of driverless vehicles and taking on the likes of Uber and Lyft have come to an end for Bridj. Yesterday, the data-driven shuttle bus service announced it’s shutting down. As BostInno reported, George wrote in a post on Medium that the Boston startup made the decision to wind operations down after a deal with a "major car company" fell through at the last minute. Right after the announcement, we tracked down major steps in Bridj's history, hoping to understand what went wrong. Even though Bridj never got that big, its idea of applying algorithms to big data to develop dynamic bus routes led to it getting a lot of national press over the years, including The New York Times, The Economist and the Washington Post. The New York Times reported that George's track record with BreakShuttle, a network of pop-up bus services for college students going home on break, helped win investors for Bridj. In September 2014, at the end of that glorious summer, the company hit one of its peaks. Money was pouring in thanks to a $4 million seed funding from a number of Boston-based investors, including Atlas Ventures, ZipCar investor Jill Preotle, NextView Ventures, Suffolk Equity and Freshtracks Capital. At that time, Bridj also made a huge COO hire: Gabe Klein, who was previously the head of transportation departments in both Chicago and Washington, D.C.
A deal with a “major car company” that fell through was reportedly the reason Bridj decided to wind operations down. In his post, George explained that the company made the strategic choice to pursue the deal "in lieu of a traditional venture capital funding round". Bad timing usually plays a role in the story of many failed startups. It's possible that the deal was not reached and that Bridj had no other option for funding on its table. Plans for a deal with a carmaker may have been going on for a while. In September 2016, George informed BostInno that they were going to align themselves with “an auto manufacturer” in the next few months. The timing of events made us think that the upcoming deal George mentioned in 2016 is the same that didn’t work in April 2017. Our request for comment has yet to be answered by George. Whether or not our guess is correct, this unsuccessful deal may have been part of a longer list of Bridj projects that didn’t work as expected. Earlier last year, Bridj proposed its own late-night service for the MBTA, but that pitch seemingly has not come to fruition. Last summer, George confirmed to The Boston Globe that Bridj was testing delivery robots to bring packages and groceries to customers’ doors. Apparently, the news again had no follow-up. In 2016 and 2017, the company worked on a pilot test in Kansas City that was also unsuccessful by the numbers. Wired reported that just 1,480 people rode on a Bridj van and called it "a laughably small figure" in a city of 2 million people. As a result of the failed experiment, Bridj decided to shut down its operations in Missouri. 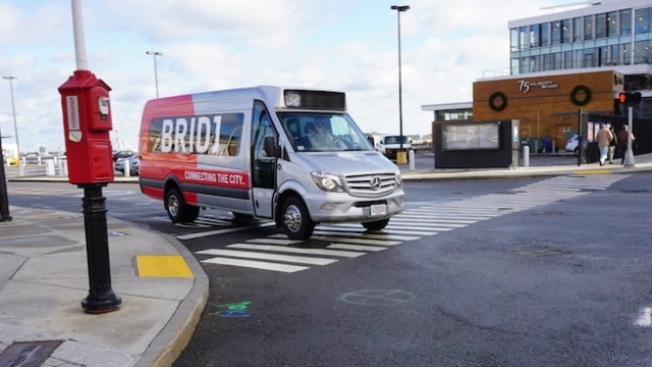 Although Bridj formally failed its pilot test in Kansas City, some government officials and transit researchers called it a success. “I think this was a bridge to inspiring a lot of transit agencies to start looking at public-private partnership,” Susan Shaheen, a UC-Berkeley civil engineer who studies mobility innovation, said to Wired. George concluded his farewell post with a music video of Kenny Rogers’ “The Gambler,” the one that says "Every gambler knows that the secret to survivin’ is knowin’ what to throw away and knowin’ what to keep." He probably learned this takeaway after that "warm summer’s eve" where it all began.